Advancement of women in medical research remains a challenge but there are several making amazing scientific breakthroughs in their fields.This International Women's Day, several of our academics share with us what Balance for Better means to them. "I have worked part-time since having kids – but have taken on increasing levels of leadership over that period and have been promoted to professor. I think there’s a feeling that this is not possible unless one is full time." Professor Lisa Phillips trained as a Clinical Psychologist and has delved into the mind of the adolescent. She was a part of a clinical research team investigating onset phase of psychotic disorders such as schizophrenia including accurate identification of young people at 'ultra' high risk of developing a psychotic disorder. This team of researchers were at the forefront in the development and evaluation of interventions aimed at preventing or delaying the onset of acute levels of disorder. In recent years, juggling family and work responsibilities, Lisa has been thankful to the countless women (and men) before her who have pressed for workplace change that allowed this. She continues to be grateful to colleagues who have supported her working part-time but increasingly in leadership positions within Psychological Sciences and hopes in the future to be able to support others whose career pathways do not follow the usual course. "We now expect balance. While the profile of women is rising in many fields, there is still much to be done in other areas. Maintaining a work/life balance is still more challenging for women, but has been much more manageable for my generation than earlier generations." As an optometrist and educator in vision sciences, Anthea Cochrane is often looking to the future. She refreshed the curricula in preclinic and clinic in Optometry, introduced a professional practice stream for Optometry students, and led development of some highly engaging overseas placements for her students. Anthea believes there are great opportunities for women in STEM. And things have certainly changed. "I love the work I do – my children say I’d come to work even if I wasn’t paid. But many other people make this possible for me – I receive so much support from my husband, my parents, my bookclub, and my friends." Dr Marie Bismark is a public health physician, psychiatry registrar, and health law academic. Her research focuses on the role of regulation and patient voice in improving the quality and safety of healthcare. She leads the Law and Public Health unit within the Centre for Health Policy at the Melbourne School of Population and Global Health. "When I was a new graduate, I never imagined that 20 years later my first boss straight out of law school – Professor Ron Paterson – would be someone I’d teach with here at the University 20 years later. It has surprised me how enduring and formative some of those early mentor relationships can be." Dr Bismark wants to support the medical and legal professions to learn more from each other about how to ensure that practitioners are healthy, competent, and fit to practice. Her research team at the University works with large datasets of complaints about health practitioners and lawyers. They analyse this data to identify hot spots of risk to help make patients safer and to protect health practitioners. "I have a four-year-old and I help care for my partner’s two boys, who are in their late teens. Balance for better is about how I can manage my job against those family commitments, which are inherently unpredictable." Dr Carolyn Nickson is a Senior Research Fellow at the Centre for Epidemiology and Biostatistics in the Melbourne School of Population and Global Health. She is a cancer epidemiologist with a background in mathematics, recognised for her expertise in cancer screening evaluation and her novel and multidisciplinary approaches to solving problems in this domain. "I still play down those interruptions when they arise, and feel a certain shame or failure about them. Some days I feel like I have to choose between letting down my job or my family, while at the same time feeling like I’m some sort of Wonder Woman. What I’d really like to see in the future is a culture where it’s just understood that that’s a common part of life for both men and women." "Balance to me means having respect that we all see things through a different lens. Respecting a diversity of opinions in science is key." Associate Professor Megan Munsie is the Deputy Director of the Centre for Stem Cell Systems at the School of Biomedical Sciences, University of Melbourne. She has always been fascinated by technology and its impact on society and in addition to her career in stem cell science worked for over ten years as an embryologist in Australian IVF clinics. “Finding a mentor who can see your potential and support your career in biomedicine is essential,” says Associate Professor Munsie. School of Biomedical Sciences interviewed several female leaders as part of their series supporting the panel event: “My Brilliant Career”, where Associate Professor Munsie is acting as moderator. A podcast of the sold out event will be available from Friday 8 March. 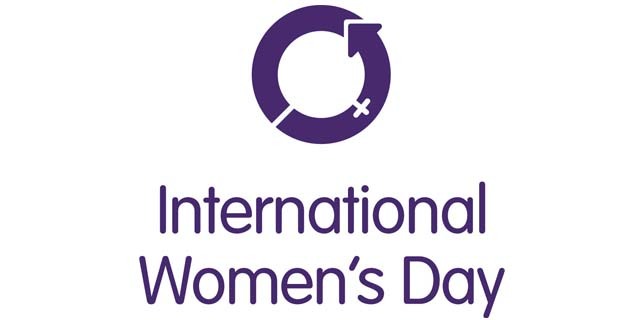 Find out more about International Women's Day and the #BalanceforBetter campaign here.